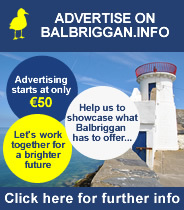 Click here for a list of Defibrillator locations in Balbriggan and surrounds. If you know the location of a defibrillator that is not on our list please email info@balbriggan.info so we can include it on our page. With Break-in’s on the increase around the country it is important that householders ensure that their property is secured at all times. An Garda Síochána have produced some great leaflets to help residents secure their homes to avoid break in’s. With Break-in’s on the increase around the country it is important that householders ensure that their property is secured at all times. For Out of Hours Emergency calls.